Teens have a lot to think about when they contemplate finding their first job and putting together a good CV (curriculum vitae) is just one facet of an employment search. 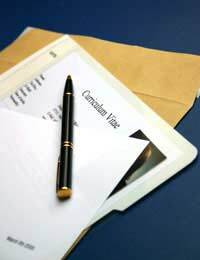 A CV, sometimes also referred to as a resume, helps a teen list out their personal contact information, skills and experiences that would be pertinent for a new job as well as provide information regarding referees who are happy to give them a recommendation. However, just because parents have written CVs before does not mean that they should take over and do the CV writing for their teens as well. Instead, parents should direct teens toward resources that will help them write their own CVs and then remain available to offer guidance while their teens work through the CV writing on their own. Teens who have never attempted to put together a resume or CV will likely have no idea where to start. It is a parent’s job to help guide them towards a template or another example that will help them explore the pertinent sections of a good CV. For example, parents may wish to share a version of their own CV, help teens find a good website explaining how to write a CV or even invest in a reference book on CV and other business writing. Very often school and public libraries offer such resources, so a quick trip prior to the day of CV writing could be a good idea for parents and teens. A teen CV will obviously be shorter than an adult CV but that does not mean that it should not contain the same pertinent sections. All CVs should start with the contact details of the job candidate, including name, telephone number, mailing address and email address, and then include sections on education to date and any relevant work experience. If a teen has no formal work experience then listing voluntary experiences may be appropriate instead. If a teen has any exceptional skills then including a miscellaneous skills section may be a good idea as well. Finally, CVs should end with the contact details of two referees that are not related to the teen. These referees should have already agreed to speak on behalf of the teen, and only the contact details that they have agreed to should be shared with potential employers. Teens can often work well from a good template, but parents should also remain available to help their teens prepare their first CVs. Providing teens with a computer, printer and paper, offering to proofread their drafts, helping teens brainstorm about key phrases or skills and reminding teens to double check listed information and spelling are all ways that parents can help a teen prepare a CV. If a teen has a particular job in mind, then parents can also help angle the CV towards this particular form of employment to help teens maximise their chances of a successful job application. Preparing a teen CV can be a nerve-wracking experience, but it is one that teens do need to work through with some degree of independence. While parents can help teens with CV writing by organising appropriate resources, pinpointing pertinent sections of the document and remaining available to help throughout the process, parents should not take over and write the CV themselves. Instead, parents and teens can use this time to work together to help make a teen’s first job search successful. I think that it is a great website which can show teen how to do certain things and what is illegal and legal for teens to do.